Are looking for climate-controlled storage units for rent in Willow Grove, Pennsylvania? Metro Self Storage offers a budget-friendly storage solution for your temperature-sensitive belongings. We understand that everyone loves having choices, so we offer one of the largest selections of climate-controlled unit sizes in Montgomery County and beyond. But don’t let that overwhelm you—our professionally trained storage team will guide you to the right-sized storage unit for the valuable items you need to store. Our climate-controlled storage units offer protection for your treasured belongings from the Pennsylvania Eastern Seaboard heat and humidity and when winter storms bring snow and ice. 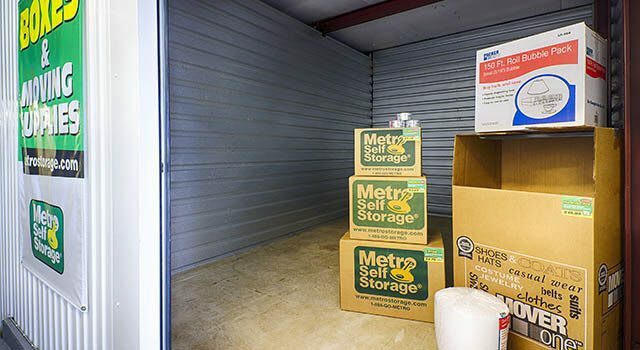 When you need climate-controlled storage, Metro Self Storage understands that security, convenience, and flexibility are all equally important in protecting the items you value most. You can count on our friendly storage team because we always strive to provide you with the best storage experience in town.